Essendon could sit 5-zip after tomorrow's Anzac Day clash with the Magpies, with both teams barely having time enough to clean the mud off their footy boots. Let's hope its another bruising encounter, and the Pies and the Bombers have to field reserves teams the following weeks. Other highlights were Browny's 500th, the Chad's chest (or was that a lowlight), Izzy's goal, and Cyril being Cyril. In the Tipping comp, incumbent leader Zenben holds on again this week, but only by one point. Hot on his heels are Longee and Craig Nettlebeck. 4th is a mad scramble between all 3 of the Griggs clan - billycat, Sam and Griggsy - with Madnurse tied with the lot of them. We have a wide open comp at this early stage with just 4 points separating 1st from 19th. The Margin comp sees some big movers this week, with Pete Connor and Uglybustard jumping the queue into the minor placings, with Pete a mere 8 points behind Zenben. Tomorrow's Anzac Day clash could go either way and see these three go from chocolates to boiled lollies. More details on the Tipping Ladder page. We have a new leader in the Trivia comp! Rotten Ronnie Andrews hits 74/100 after 10 rounds, surpassing Uglybustard on 69/90. #Car17on 19/30 and gonadbreath 14/20 are filling the minor placings. I wouldve thought Rotten Ronnie would've been severely brain damaged after his footy career. Not sure how he keeps all this trivia in his head. You can begin the Trivia comp at any stage of the season. To start, login to footytips.com.au then go to http://www.footytips.com.au/tipping/afl/trivia. No jackpot this week, only freaks wouldve got 9/9. Only a few more days to get your $20 entry fee in for the Prize Pool this year. The deadline is cob this Monday April 30. Email uglybustard@uglybustards.com for details on how to pay. 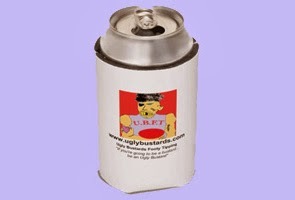 Remember that to be eligible for any of the prizes on Uglybustards you need to have paid your entry fee. If you don't pay you can still play for glory and get your name in the Hall of Fame. The Prizes for each comp will be confirmed after April 30. Sam Griggs, DrBB, Rod Carter and Uglybustard. We need more to have a jackpot!!! Best of tipping luck in Round 5, and dont forget to tip asap for the Anzac Day game! sorry, you also win a prize as the first commenter. unless youre gonadbreath.